Everything on your wish list! 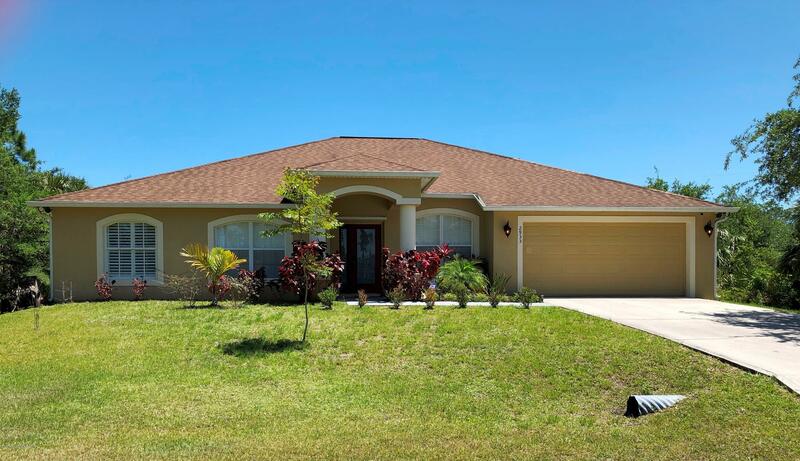 4 Bedroom Lifestyle built 2006 home in peaceful, quiet area of Southeast Palm Bay. Formal Living & Dining, PLUS large Family room. Kitchen has breakfast nook, breakfast bar, 42 inch cherry cabinetry, stainless appliances, & large pantry. Trussed 212 sf screened porch opens out to your very own oasis with firepit, pergola & hot tub, pavered walkways, and vinyl fenced yard for extra privacy. Master bedroom w/HUGE closet, garden tub, separate shower, double sink vanity. Vaulted ceilings, beautiful upgraded wood laminate flooring in living areas, plantation shutters, blinds, security system. Need any more convincing? How about hurricane shutters, concrete block construction, water filtration system, new AC in 2017!